After sell-out event screenings around the country, Aussie comedy The Heckler is coming to DVD & digital download on October 21st. Shot on location in Melbourne, this hilarious body-swap comedy received rave reviews from sold-­out screenings at Adelaide Fringe, Melbourne International Comedy Festival and Sydney Comedy Festival and was the winner of Best Ensemble at the LA Comedy Festival. 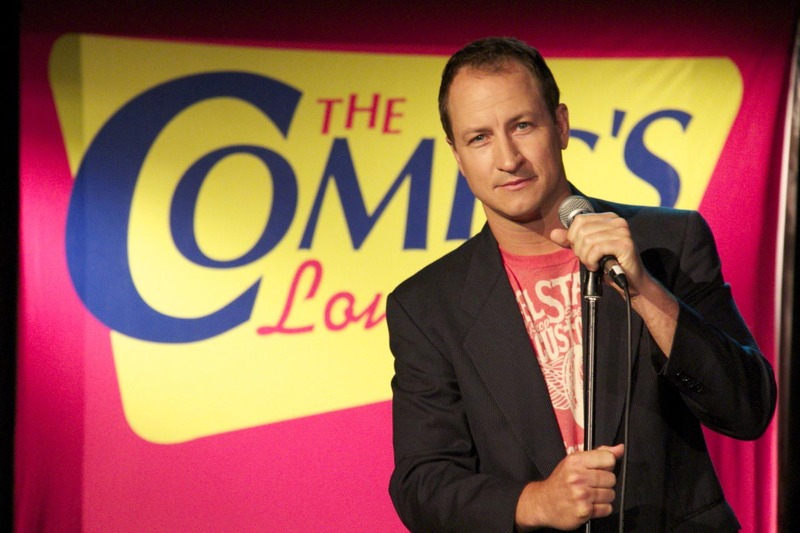 The Heckler tells the story of a stand-­up comedian named Steve who is hell-­bent on becoming the ‘next big thing’. While single‐mindedly focusing on his dream of hitting the big time, Steve finds himself caught up in a dubious situation when his body is hijacked by the spirit of a jealous heckler. These mysterious and unexpected circumstances lead Steve on a new mission to reclaim his body before the obnoxious, vegetarian, port swilling imposter ruins his career. The Heckler marks the feature film debut of local talents Kate Jenkinson (Hiding, Offspring), Emily Taheny (Mad as Hell, It’s a Date) and Simon Mallory (Comedy Inc) and also stars CJ Fortuna (Kinne), Scott Harrison (Charlie & Boot, The Hollowmen) and Dave Lawson (Utopia) along with a host of accomplished comedy performers including Tony Martin and Jeff Green. The Heckler was written and produced by Steve Mitchell and directed by Ben Plazzer. The Heckler debuted in Australia with special event screenings around the country launching at The Sun Theatre in Yarraville, Victoria in early September and continuing nationally into November. The production team behind The Heckler have also embraced an innovative distribution model by launching the film via new Australian cinema-on-­demand platform tugg.com.au which allows filmmakers and cinema goers to book any cinema, any time, as long as there are enough people interested in watching that particular film at that specified session time. The Heckler is one of many films that can be booked to watch on the big screen via Tugg. The Heckler is now available in store on DVD and for digital download here.